This introduces a darker and older seeming Laddie, and his thoughts on the final battle and the death of the Lost Boys. Laddie misses the girl he loves, who left him when he was 15. But when she returns she is a changed person. 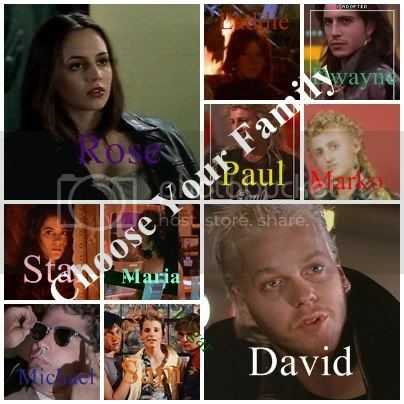 After being brought back from the dead David and his brothers and sister vow to build a powerful pack of vampire�s to help avenge their father�s death in this story they bring Laddie back into the fold this is story 0/1 of Laddie�s story I�m hoping to do more on other characters. Laddie has returned home and something is missing. Laddie makes a new friend, and helps her to deal with an unpleasant situation.